You guys have probably notice an abundant of Etsy sticker hauls on my blog lately. I'm not gonna lie, I have a sticker obsession. But let me tell you that this obsession can cost you $$$. That's why I thought it would be useful if I shared some money saving tips I've learned over the past couple of months. Keep in mind that these tips are from my experience of buying stickers off of Etsy. So if you are interested in Etsy stickers and buying them, this is perfect for you! Make a plan on what type of stickers you want to buy. Maybe, you want some decoration or holiday stickers. 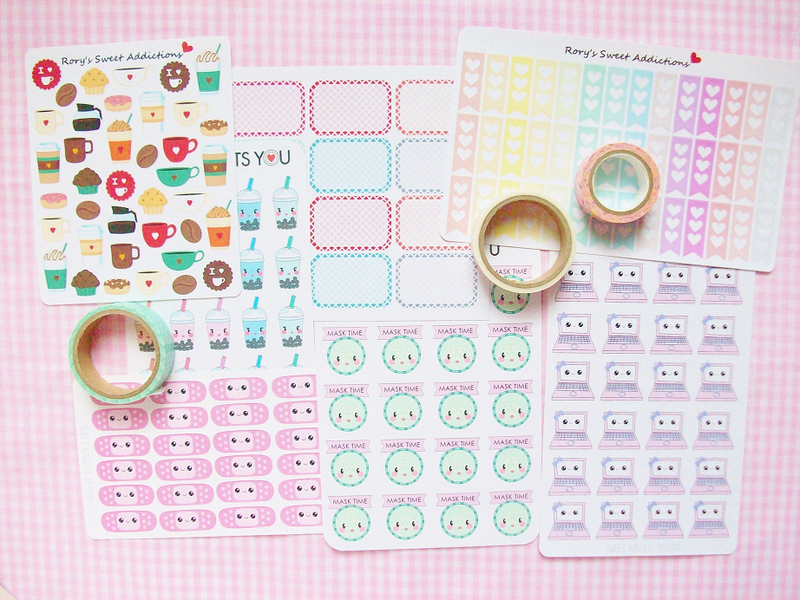 Or maybe, you want plain or patterned stickers. Whatever you want make sure to write a list as a reminder of what you want to buy, so you don't get sidetracked. Just make sure that every sheet of stickers you buy has a home in your planner. Back when I started buying stickers I would just buy anything that looks cute. Now I have multiple coffee stickers waiting to be used. It's easy to get lost in all the cute stationary, so before you hit the checkout button make a plan. Set a limit of how much money you would like to spend on stickers. I personally try to not spend over $20 on a single shop order, however you can set a limit of $15, $10 or even $30. This helps you not get carried away and spend too much money on each shop. A majority of Etsy shop's have a Instagram, Facebook, or some type of social media. Make sure to follow these shops for discounts, upcoming promotions and even flash deals! You can also get an exclusive look at future products and freebies! Did I mention opps grab bags? A lot of Etsy shop's have opps sales via Instagram where they include multiple sheet of stickers with minor flaws for a low price, these always sell out instantly! Every sticker shop has different prices. However, there are some shops that sell all of their stickers at the same price. It doesn't matter what holiday it is or if they're glossy or matte the prices stay the same, all the time. These type of shops are my favorite. I hate it when I'm shopping for stickers and one sheet may cost $3 and another one is like $6. A lot of shops also sell similar (literally identical) stickers so you might want to use the search bar and check if another shop is selling a sheet you want for a little less money. Never overpay for stickers. Most of the stickers I bought have arrived in over 1-2 weeks. This is the sad reality of sticker shops. Since most of the sellers work alone it takes a while for each sheet of stickers to be produced, packed and then shipped. If you are a patience person this might not annoy you but if you get too excited about stickers (like myself) then this will eventually get on your nerves sooner or later. Some things you might want to keep in mind when you order stickers is check where the shop is located and read how long processing time takes (this is usually located in the shop description). 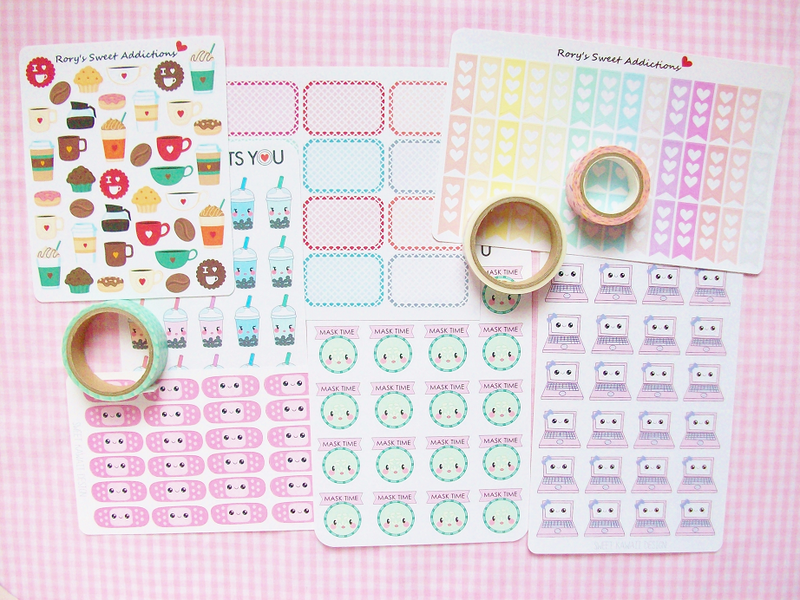 Are you a Etsy stickerholic?